Phil Zwerling, Associate Professor of Creative Writing and Director of the Creative Writing Program at the University of Texas Rio Grande Valley, earned his M.F.A. in Creative Writing from the University of New Orleans, and his Ph.D. in Theatre from the University of California, Santa Barbara. He is the author of three books (Nicaragua: A New Kind of Revolution, 1985, After School Theatre Programs for At Risk Teenagers, 2007, and The Theatre of Lee Blessing: A Critical Study of 44 Plays, 2016). His edited book, The CIA on Campus: Academic Freedom and the National Security State was published in 2012. 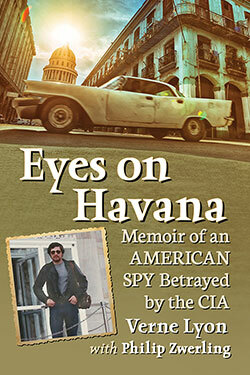 His newest book, coauthored with Verne Lyon, is Eyes On Havana: The Memoir of an American Spy betrayed by the CIA available in 2018. 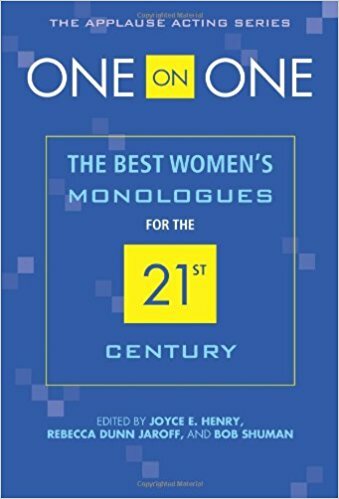 Scenes from his plays are anthologized in One on One: The Best Women’s Monologues for the Twentieth First Century, One on One: The Best Men’s Monologues for the Twenty-First Century, and Duo: The Best Scenes for the Twenty First Century, all by Applause Books. He specializes in teaching playwriting, screenwriting, and dramatic literature at the graduate and undergraduate levels. In 2018 he will retire to Fort Bragg, California. 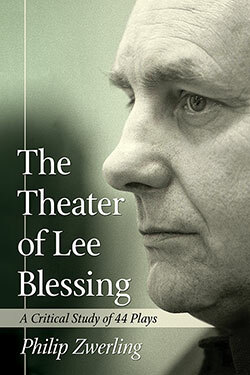 The Theater of Lee Blessing: A Critical Study of 44 Plays. North Carolina: McFarland and Company Publishers, 2016. After-School Theater Programs and At Risk. Teens. North Carolina: McFarland and Company Publishers, 2008. 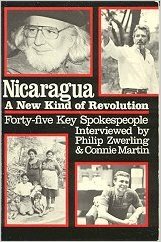 Nicaragua: A New Kind of Revolution. Chicago: Chicago Review Press, 1985. 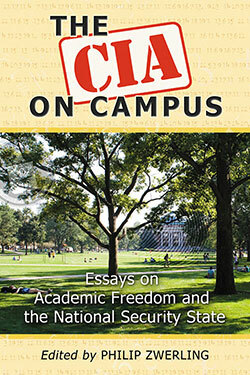 The CIA on Campus: Essays on Academic Freedom and the National Security State. North Carolina: McFarland and Company Publishers, 2011. Security State. North Carolina: McFarland and Company Publishers 2011. 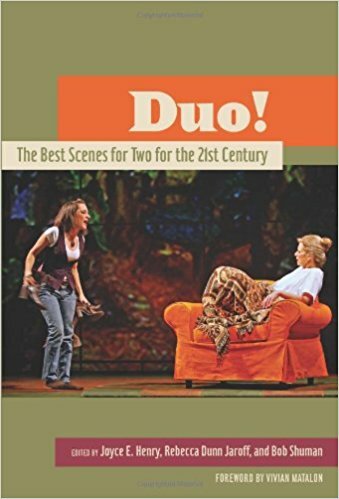 “Crafting Effective Dialogue” and “Seven Overlooked Elements of Scriptwriting” in 2010 Screenwriter’s and Playwright’s Market. ed. Chuck Sambuchino. New York: F+W Media, Inc, 2009. “The Last Freak Show” Act 1, Scene One in Duo: The Best Scenes for Two for the Twenty-First Century, eds. Henry, Jaroff, and Shuman. New York: Applause Books, 2009. 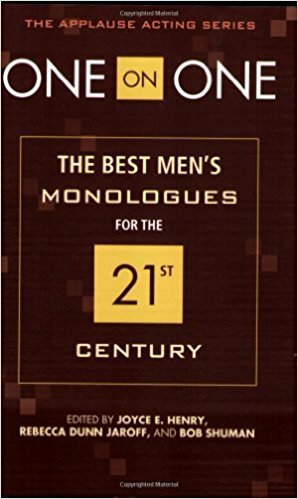 “The Last Freak Show” monologue in One on One: The Best Men’s Monologues for the Twenty-First Century, eds. Henry, Jaroff, and Shuman. New York: Applause Books, 2008. "The Face in the Mirror" monologue in One on One: Best Women's Monologues of the Millennium, eds. Henry, Jaroff, and Shuman. New York: Applause Books, 2007. “Right Along the Border: Mexican-American Students Write Themselves Into The(ir) World” in The Community Literacy Journal, Spring 2010, Volume 2, Issue 2. “The CIA On My Campus...and Yours” in Nebula. Volume 6.4 December 2009 http:// www.nobleworld.biz . “Union Organizing at the University of California” in Workplace: A Journal for Academic Labor, #7, June 2001. “An Interview with the Playwright Lee Blessing,” in riverSedge, Fall 2016. “For Love or Money” in Writer’s Bloc, Fall issue 2013, Texas A & M University-Kingsville, TX. “The History of Mexico: A Dream Play” in The Langdon Review of the Arts in Texas Volume 7, 2010-2011, published September 2010. ““They’re Back: The CIA Returns to Campus and Resistance Begins” Z Magazine, November 2011. "Extreme Playwriting" and Understanding Subtext and Given Circumstances" in Mid America Theatre Conference Pedagogy Papers, March 2006. "Zora Neale Hurston,” “David Belasco," and “The Girl of the Golden West” in The Columbia Encyclopedia of Modern Drama, Edited by Gabrielle Cody and Evert Springchorn. New York, Columbia University Press, 2007. "Israel Horovitz" in The Facts on File Companion to American Drama, eds. Jackson Bryer and Mary C. Hartig, New York: Facts on File, 2004. "Lazaro Cardenas," "James Buchanan," Sam Houston," "The Alamo," "The Battle of San Jacinto," "Bisbee, Arizona," The Encyclopedia of The United States and Mexico, 2002. “Plausible Deniability” at annual conference of Texas Association of Creative Writing Teachers, San Antonio, September 2016. “The Care and Feeding of Literary Journals” at the annual conference of the Texas Association of Creative Writing Teachers, Fort Worth, TX. September 26, 2013. “Teaching Student Writers to Be Professionals” at the annual conference of the Texas Association of Creative Writing Teachers, Edinburg, TX. September 27, 2012. “Research and Writing” at the annual conference of the Texas Association of Creative Writing Teachers, Austin, TX. September 22-24, 2011. Presentation (Direction) and discussion of original play “The History of Mexico: A Dream Play” at South Texas College/ Regional Annual Meeting of National Association of Chicano/Chicana Studies, February 2011. “Generating New Material” and “Directing Creative Writing Programs” at the annual conference of the Texas Association of Creative Writing Teachers, Fort Worth, TX. September 23-25, 2010. “The CIA on Campus and Its Threat to Academic Freedom” at the First International Conference on Marti, Juarez, and Lincoln in the Soul of Our America. Monterrey, Mexico. October 17-19, 2009. “Why and How to Make your Creative Writing Course a Service Learning Course” (Pedagogy Panel at the annual meeting of the Texas Association of Creative Writing Teachers, Texas Tech University, September 2009. “Making After School Theatre Programs Work for At Risk Teenagers” Paper at the Annual convention of the Texas Educational Theatre Association, Houston, TX January 24, 2009. “Experiential Learning In the Writing Workshop” (Pedagogy Panel at the annual meeting of the Texas Association of Creative Writing Teachers, Angelo State University, September 2008. “Community Writing Empowers Students and Changes Communities,” National Association for Chicana and Chicano Studies Tejas Regional Conference, South Texas College, February 2008. “Creating Characters and Conflicts for Scenes That Sizzle,” The Montgomery County Community College Annual Writers Conference, November 2007. “Racial Stereotypes and Prototypes in Tracy Scott Wilson’s The Story.” The Horton Foote National Playwrights’ Festival, Baylor University, October 2007. “Intergenerational Writing” Rocky Mountain Modern Language Association, Tucson, AZ October 2006. "Playwriting" (leader of three day teaching workshop) The Philadelphia Writers' Conference, June 9-11, 2006. "The Teaching of Writing: Developing a Public Voice,” Northeast Modern Language Association, Philadelphia, March 2006. "The Story Behind 'The Story," Modern Language Association, Washington, D. C. December 30, 2005. "The Politics, Pageantry, and Poetry of the Paterson Silk Strike," Modern Language Association, Philadelphia, PA. December 28 , 2004. 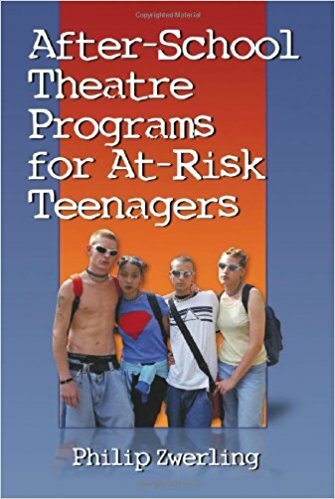 "A Toolkit for Inspiring Community-based Theatre On and Off Campuses," Association for Theatre in Higher Education, Chair and Panelist, Theater and Social Change Division, Toronto, Canada July 29, 2004. Education, Panelist, Religion and Theatre Division, Toronto, Canada July 29, 2004. UCSB Summer Orientation Program Faculty Panel, Panelist, August 2002. "If the Inmates Ran the Asylum: Reimagining a Graduate Drama School Education," Panel Chair and Presenter, Association for Theatre in Higher Education, San Diego, CA, July 2002. "Performing Interdisciplinarity," Association for Theatre in Higher Education, San Diego, CA, July 2002. "Youth Theatre of the Oppressed in a Globalized World," University of Southern California, April 2002. "Is Efficacy a Dirty Word?" Research in Dramatic Art Conference, University of California, Santa Barbara, March 2002. "Whose Line Is It Anyway: Issues of Power in Grassroots Theatre,"
"Art is the Anti-Drug," California Educational Theatre Association, North Hollywood, CA, October 2001. "Gangbanging and the Art of Mimesis," Graduate Research Symposium, Interdisciplinary Humanities Center, University of California, Santa Barbara, May 2001. "Making Theatre/Saving Lives," University of Southern California, English Graduate Student Conference: "Room For Play: Drama, Theatre, and Performativity," Los Angeles, February 2001. "Aristotle, Boal, and Moreno; Defining a Catharsis for a Free People," Sixth Annual Pedagogy and Theatre of the Oppressed Conference, Minneapolis, June 2000. "Augusto Boal and the Theatre of the Oppressed Rehearse the Revolution," Graduate Research Symposium, Interdisciplinary Humanities Center, University of California, Santa Barbara, Jan. 1999. "Stopping America's War on Children," Live Oak Unitarian Church, Goleta, CA, August 2001. "Religion, Race, and Revolution: The Roots of Theatre in Latin America," Getty Museum, Los Angeles, November 1999. SELECTED JOURNAL, MAGAZINE, AND NEWSPAPER ARTICLES “Endless U.S. Wars” in The McAllen Monitor, January, 2016. “Outbound in Florence” in The McAllen Monitor, November 20, 2012. “Just out of High School? Play Hooky for a Year,” in The Philadelphia Inquirer, August 13, 2006. "Bridging Generations," in Ursinus Magazine, June 2005. pg.. 11-12. Book Review: Strategies for Teaching First-Year Composition for Issues In Writing, Fall/Winter 2004, Volume 14, Issue 1. "Personal Journey: Vietnam," in The Philadelphia Inquirer, September 21, 2003. "Preparing Students to Write an Annotated Bibliography" in The Hands-On Handbook: A Guide to Teaching in the UCSB Writing Program, University of California, Santa Barbara, 2003. "Staging a City at Peace," Santa Barbara Magazine, Spring 2002. Book Review: "George Jean Nathan and the Making of Modern American Drama Criticism," Theatre Survey, 43,1, May 2002. "Steeling Beauty," Santa Barbara Magazine, February/March 2002. Performance review: "The Secret," Theatre Journal, December 2001. Book reviews: "Grassroots Theatre" and "Community In Motion," Theatre Journal, December 2001. Performance review: "Mankind," Research Opportunities in Renaissance Drama, XL, 2001. "Unique Center Stage Celebrates 10th Anniversary," The Goleta Valley Voice, July 14, 2000. "The World Comes to Santa Barbara," American Theatre Magazine, May, 2000. "The Alhecama Theatre: Historic and Alive," Santa Barbara Magazine, 26/1, (Winter 2000). "Swimming Into Fatherhood with Spalding Gray," The Goleta Valley Voice, January 19, 2001. "Curtain Up!," The Driftwood, March 26, 1998. "The First American Play," The Desert Leaf, July/August 1997. "An Interview with Playwright Mark Medoff," College Bound Magazine, March/ April 1995. The Writing Program "Writing 2: Academic Writing"
"American Drama 1940 to Present"
Dramatic Art 162 "Shakespeare on Film and Stage"
The First Unitarian Church of L.A.
“Study Abroad Will Change Your Life” at International Days, UTPA Ballroom, November 15, 2012.